The Associated Press is reporting that lawmakers in Kentucky are threatening to declare the commonwealth a “Sanctuary state,” placing it out of the reach of the Environmental Protection Agency. Republican Senator Brandon Smith, who chairs the Energy and Environment Committee, says environmental regulation is hurting Kentucky, and he’s proposed legislation that would block the EPA from enforcing regulations in Kentucky. But the bill is unenforceable, and Smith says it’s meant to send a message to President Barack Obama. Several climate change skeptics won elected office last week, and 700 scientists have decided to fight back. “This group feels strongly that science and politics can’t be divorced and that we need to take bold measures to not only communicate science but also to aggressively engage the denialists and politicians who attack climate science and its scientists,” said Scott Mandia, professor of physical sciences at Suffolk County Community College in New York. The scientists are willing to appear on conservative talk shows to argue their case. This is an interesting development. Modern news media is often critiqued for balancing issues for balance’s sake, and these scientists may face non-scientist skeptics, booked to balance their positions. Whether a potential flood of PhDs will lead to more civil discourse or louder, more titled skeptics remains to be seen. Maybe we’ll see more prime-time cable news discussions of science. Or not. Recently-released e-mails shed light on negotiations between independent mayoral candidate Jackie Green and Democratic candidate Greg Fischer‘s staff. Green dropped out of the mayor’s race last week to endorse Fischer. Republican candidate Hal Heiner has criticized the endorsement as the result of a “backroom deal” that would give Green power in Metro Government. The Fischer campaign says it did nothing wrong. The endorsement talks centered on Fischer’s proposed cabinet-level office of sustainability. Green told WFPL last week he would endorse Fischer if the office would have significant power in Metro Government, and if Green and his campaign staff could have a role in deciding that office’s leader. E-mails released Tuesday (more) show the Fischer campaign was willing to adopt some of Green’s positions, and that Green believed he and his team could have a role in a Fischer administration. Green told LEO Weekly that his name was on the short list to lead the office of sustainability. The Fischer campaign says Green was not offered a job, though the independent will have input on creating the office of sustainability, if Fischer wins the election. The Gt also raised the issue of our team playing a role inside gov. – should Greg get lucky ; ) . Green told WHAS he may have mis-remembered what happened. State law prohibits candidates from exchanging a “thing of value” for votes. Republican Hal Heiner’s campaign contends that Fischer did just that, and has criticized Fischer for being secretive about negotiations with Green. The Fischer campaign says an offer for an advisory role does not violate the law. No formal complaints have been filed. 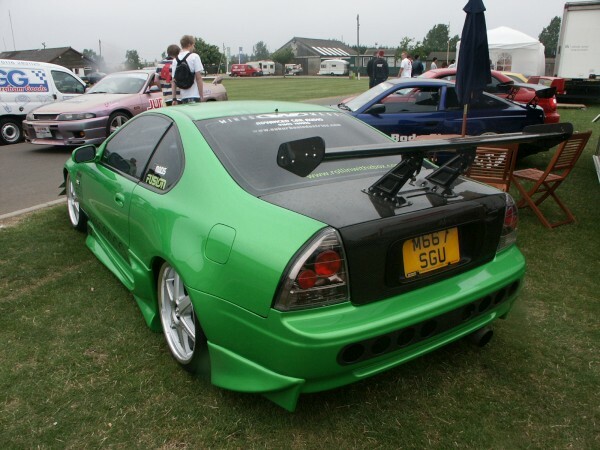 How Likely Is A Green Spoiler? 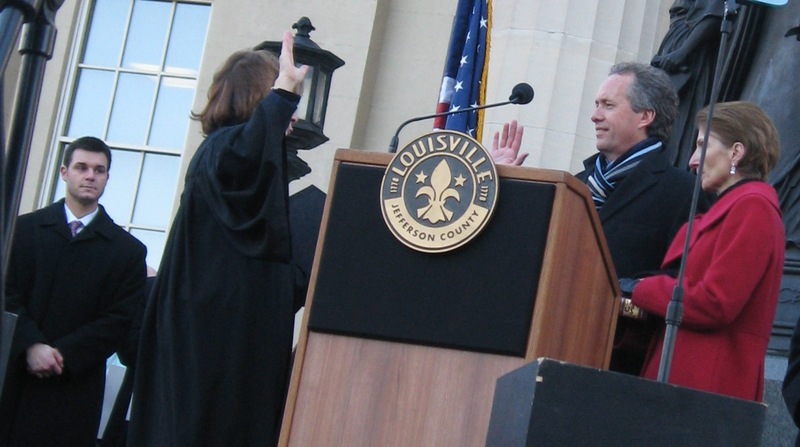 A recent story in the Courier-Journal implies that independent Jackie Green is, to some degree, the Ralph Nader of the Louisville mayor’s race. Green is running on a strong environmental platform some have called radical, but he calls necessary. The bulk of the CJ story compares Green’s positions to those of Democrat Greg Fischer and Republican Hal Heiner. But before covering policy, the story looks at the politics of Green’s candidacy. Specifically, it points out how environmental groups have endorsed Fischer, because they don’t think Green can win. The local Sierra Club’s chairwoman, Joan Lindop, said Green “is raising issues that need to be raised,” but the group’s members don’t believe he can win. They’re backing Fischer because they like parts of his platform and they believe he has good managerial skills, Lindop said. She said they are also concerned that Heiner would, as mayor, tilt too much toward business. That last quote is interesting. And Interfaith Power and Light director Tim Darst refutes it in the article, saying “If you vote for the lesser of two evils, you will just get an evil.” This type of endorsement isn’t anything new in politics…but it is politics. The Sierra Club is backing a candidate in part to block another candidate. That’s one way of approaching a set of goals. Next, the article says Green could be a spoiler in the race. He could take enough votes from one candidate to give the other a victory. Presumably, Green would take liberal or progressive votes from Fischer. For his part, Fischer said his campaign has “a very strong environmental message and a strong jobs message. Green and Heiner both reject this. U of L professor Dewey Clayton (whom we’ve quoted extensively on WFPL) says it is possible that Green could tip the race either way. And that is true. Green is polling at 3%. Fischer is leading Heiner by about 6%, but the margin of error puts the race even closer, statistically. So Green could be taking enough votes to make the race closer. But the question here is: would Green’s supporters vote for another candidate? How likely is it that someone who supports Green’s bold environmental positions would vote for Fischer or Heiner as a compromise? Most of Green’s supporters are likely enthusiastic for Green. They may be more like IPL’s Tim Darst and are unlikely to compromise. Green isn’t invited to every debate. He isn’t mentioned in every article about the mayor’s race. He doesn’t have the money to run television ads. His campaign strategy is to connect with voters personally. While it’s possible Green has wooed a few people who would otherwise vote for Fischer or Heiner, I’m not sure those voters make up most of his 3%. In the fight over climate change (with one contingent fighting to stop it and another fighting to say it doesn’t exist, or isn’t man-made, etc.) the next battleground may be state governments. Politico reports that state environmental legislation is coming under fire, and conservative groups and lobbyists hope to score big for their national cause by defeating state efforts to curb climate change through carbon caps and green energy. In California, Texas oil giants Valero and Tesoro are spearheading a November ballot initiative to derail the Golden State’s landmark 2006 law capping its greenhouse gas emissions. In New Jersey, conservatives are leaning on Republican Gov. Chris Christie to drop out of a 10-state regional cap-and-trade compact and show his true political stripes as he raises his national profile with an endorsement tour this fall. Similar efforts could follow in other states, depending on how November gubernatorial races shake out. California’s global warming law, which forces emissions across much of the economy to fall to 1990 levels by 2020, is the nation’s strongest and most sweeping policy to tackle global warming, absent federal policy. That, and the symbolism of reversing climate policy in a major liberal state, is why both sides of the Proposition 23 debate acknowledge the upcoming vote has larger implications. As the EPA plans to regulate coal ash–the substance generated from burning coal–environmental groups have released reports showing that ash has polluted more waterways and wetlands than previously thought. The Environmental Integrity Project and Earthjustice say they have analyzed soil and water data and found 39 additional coal ash sites in 21 states where nearby groundwater, wetlands, or surface waters are contaminated. Those sites join the EPA’s list of 70 other sites known to be contaminated, which agency officials say are the justification for new regulation. The contaminants are heavy metals, such as arsenic and lead, leaching out of the ash, some of which the environmental groups say have been found in drinking water at levels far exceeding health advisories. The sites include those in states throughout the Ohio River valley. The problem is often found at older, unlined coal ash ponds, which could become a thing of the past if certain aspects of the EPA’s proposal are adopted. Liners would be required, and coal ash ponds phased out in favor of landfills and more recycling. There will be a hearing in Louisville on the new regulations next month.